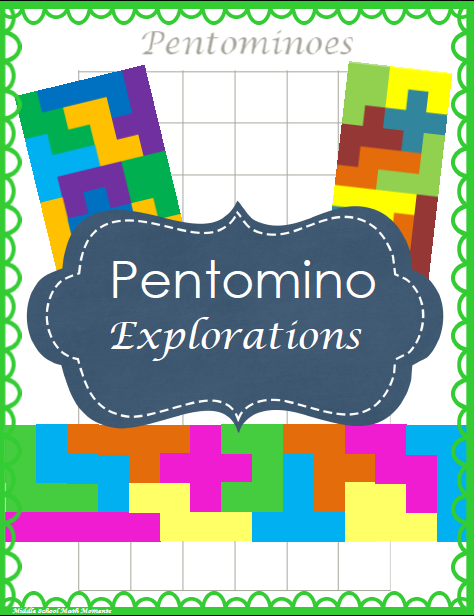 The Best of Teacher Entrepreneurs II: MATH ACTIVITY - "Pentomino Exploration"
Use this FREE Pentomino Explorations to get your students discussing, problem solving, persisting, and thinking! Students really have fun with pentominoes, and the great part about the “fun” is that they are having fun thinking and solving a problem (which they don’t seem to realize!). I’ve used the activity with a very wide range of students and it has quickly given me valuable information about my students. This type of problem solving is accessible to all students, and provides a great opportunity for teachers to observe who’s willing to share ideas, who sits back and watches, how students speak to each other, how well they can verbalize their thoughts, and so on. These pentominoes do need to be copied (I'd recommend using card stock), cut, and laminated. There are frames provided that should be laminated as well.